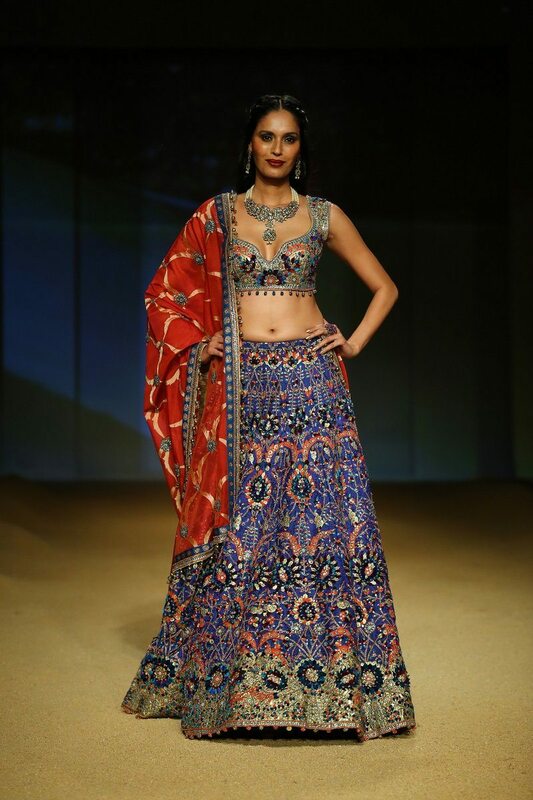 Model Ujjwala Raut glowed in an Ashima-Leela outfit at the India Bridal Fashion Week 2014. 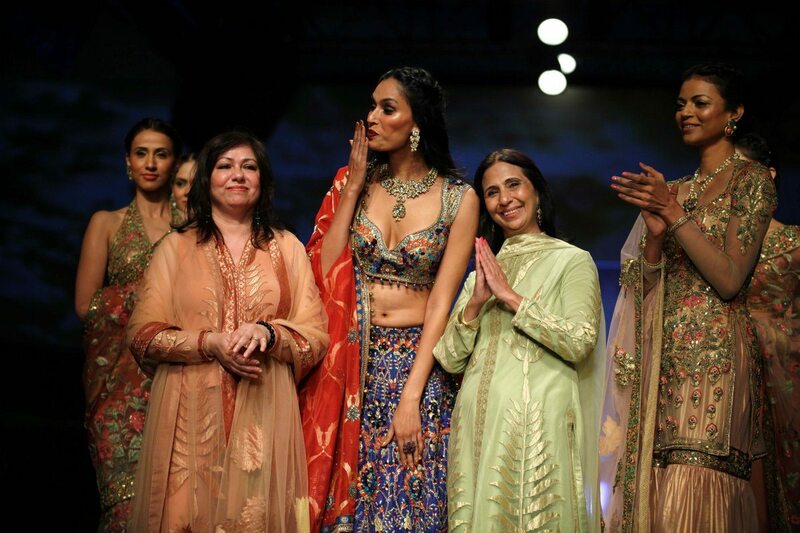 Indian model Ujjwala Raut walked the ramp for designers Ashima-Leena -on day 4 – at the India Bridal Fashion Week 2014 in New Delhi on August 10, 2014. Raut stunned in a eclectic lehenga-choli and dupatta ensemble and the combination of various gemstone hues made for a fashionista’s delight. 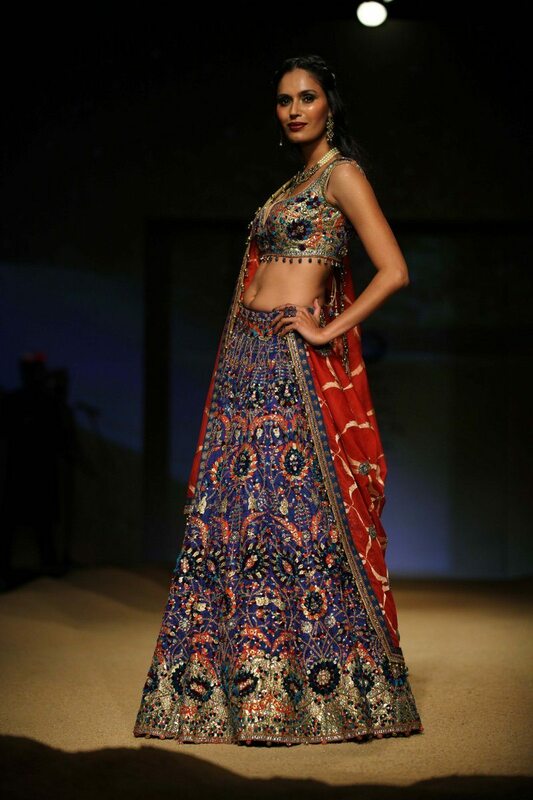 Designers Ashima-Leena drew inspiration from the elements Sufism, mysticism and the fantasy present in the Arabian Nights tales. There were six different sections ‘Gulistan’, ‘Persian Flowers’, ‘Gold Souq’, ‘Pieces of Silver’, ‘Tabriz’ and ‘Isfahan’. 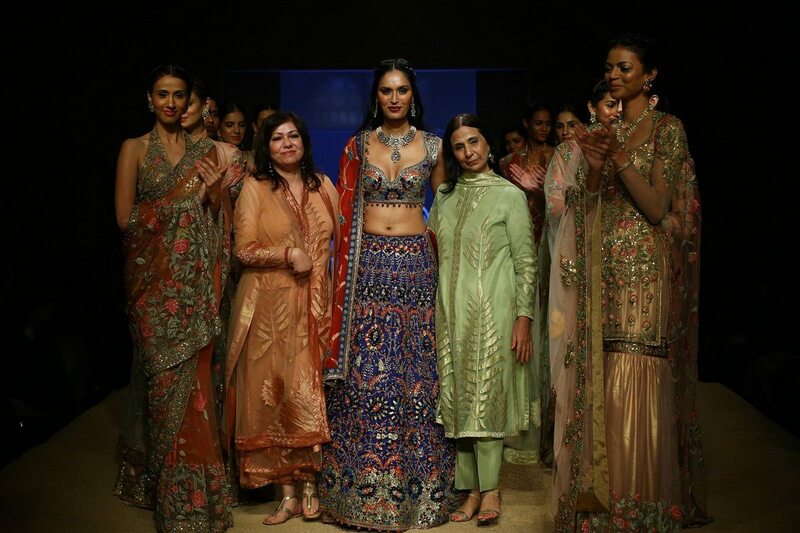 Intricate beadwork, metallic threadwork and sequins dominated the couture on the ramp. 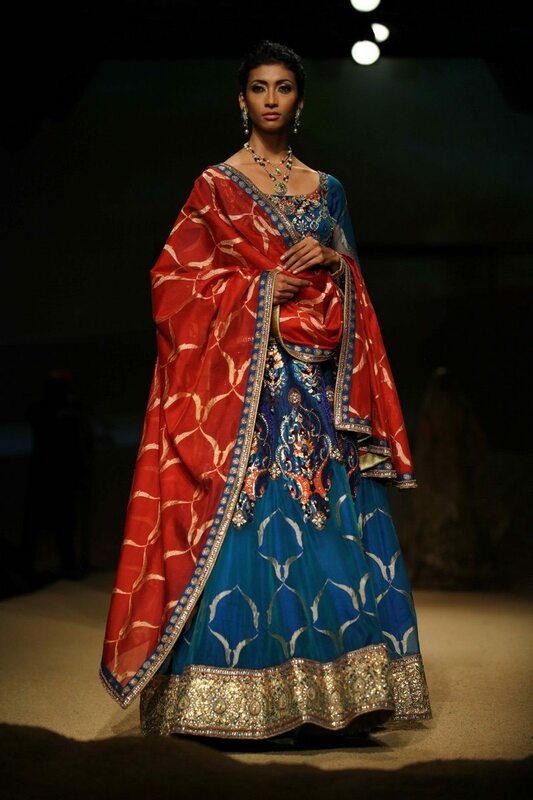 The collection also concentrated on the revival of ‘Odhni’ which was the centerpiece of the ensemble. 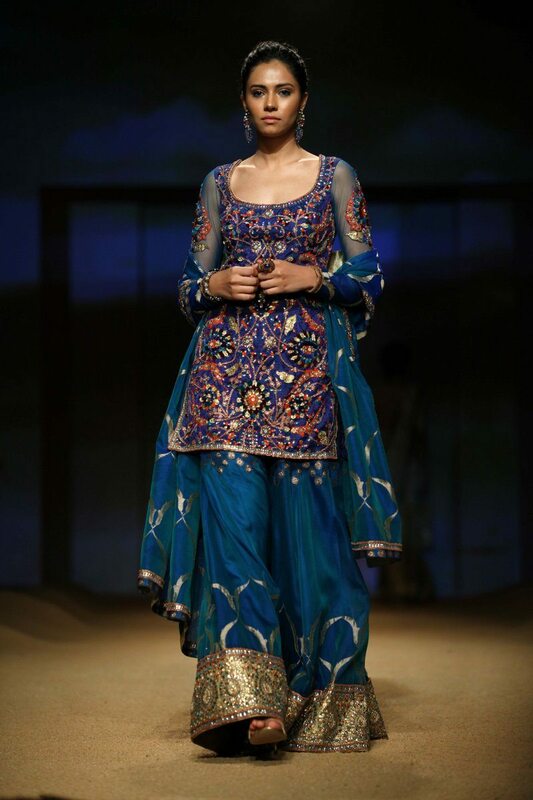 Enhancing the Arabian Nights vibe, models walked against the backdrop of a huge desert.